Multiple World championship medalist Linda Villumsen made the major move in this morning's Tour de Lakes Individual Time Trial from Manapouri to Te Anau. 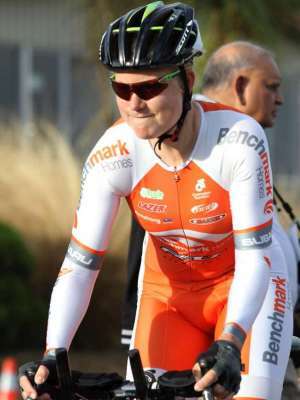 The New Zealand representative who will soon take up a spot on the Wiggle Honda Pro Cycling team smashed the rest of the Women's field in recording the fastest women's time (and eighth fastest overall time) over the 20 kilometres to draw within just three second of women's race leader Gabby Vermunt. The tour leader did well to limit the damage to 1:40 and maintain her overall lead which sets up a fascinating final three stages. Laura Fairweather finished third, within a second of Vermunt and moved in to the top five in the process. Similarly, Scott Molina made his move in C grade, snatching yellow and opening up a 17 second overall lead on Andrew Lienert. Starting the day just a second down on the race lead, Molina recorded 29'02 for the 20 kilomtres ahead of Lienert and Dave Lawson who jumped in to fourth spot overall, 32 seconds down on yellow. Geoff Taylor claimed an 8 second victory in B grade with tour leader Glenn Gould second fastest to marginally extend his overall lead over Mike White (third in the Time trial) to 21 seconds. White, in turn, has a 20 second buffer Lee Johnstone who sits third overall at 41 seconds. Scott Thomas backed up his Prologue victory with an equally-impressive Time Trial win by 16 seconds over Alex McGregor with race leader Luke MacPherson a further 10 seconds back in third. MacPherson's lead going in to this afternoon's 80 kilomtre stage from Te Anau to Five Rivers is 28 seconds over MCGregor with Tim Rush holding third overall at 58 seconds. 1 Luke McPherson 4hr24'41" 1 Glenn Gould 4hr37'41"
2 Alex McGregor @ 28" 2 Michael White @ 21"
3 Tim Rush @ 58" 3 Lee Johnstone @ 41"
4 Scott Thomas @ 1'30" 4 Geoff Keogh @ 1'19"
5 Sam Friend @ 2'23" 5 Andrew Villazon @ 2'17"
1 Scott Molina 4hr00'34" 1 Gabby Vermunt 4hr08'17"
2 Andrew Lienert @ 17" 2 Linda Villumsen @ 03"
3 Harrison Steedman @ 29" 3 Hayley Mercer @ 2'36"
4 Dave Lawson @ 32" 4 Elyse Fraser @ 2'38"